Microsoft Studios CVP Matt Booty explains what happened with Better Together. The Better Together update brings the biggest set of changes to hit Minecraft in years, expanding the Community Marketplace, streamlining access to third-party servers and uniting the game across platforms -- and it's all live today. Well, most of it is. 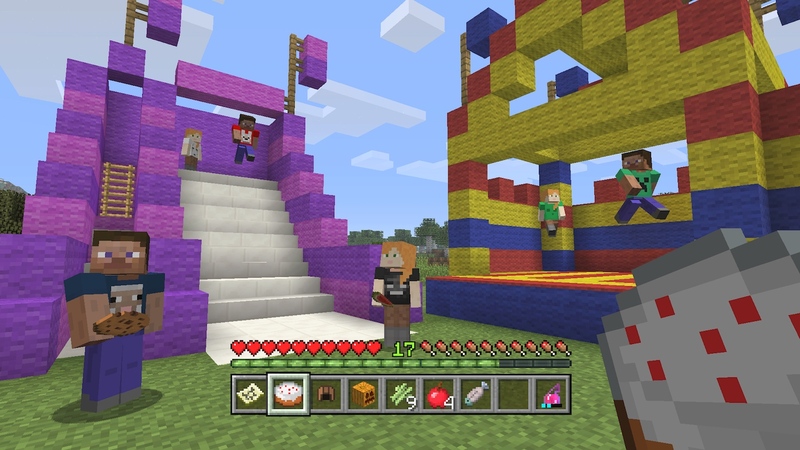 Better Together is rolling out across Xbox One, Windows 10, virtual-reality and mobile versions of Minecraft right now, but it won't hit the Switch until later this year. Microsoft's original plan, which it unveiled at E3 in June, was to launch Better Together on Switch at the same time as the other platforms (hence the title of the update). PlayStation 4 was never part of the equation for this initial rollout. "We just flat-out couldn't get those two completely in sync," Microsoft Studios Corporate Vice President Matt Booty says. 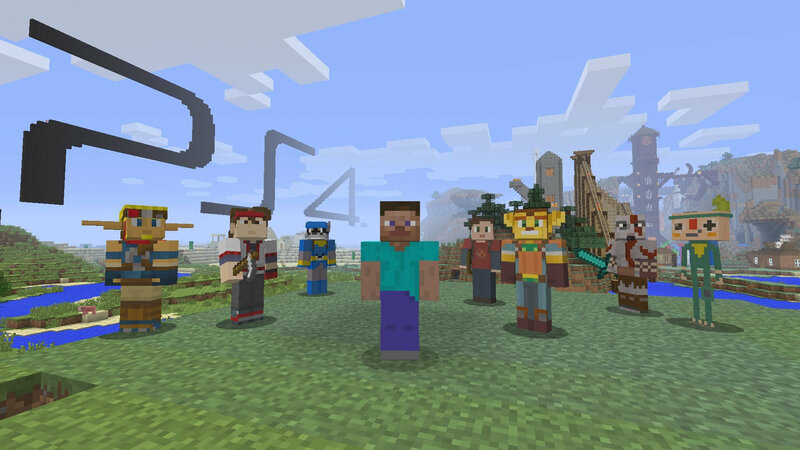 Microsoft, it should be noted, bought Minecraft in 2014 for $2.5 billion, quickly folding the franchise into its lineup of first-party Xbox studios. Xbox One and Windows platforms are the official home of Minecraft, so it makes sense that today's update definitely includes those devices. The Switch version will see the Better Together upgrade this year -- in time for the holiday season, according to Booty. It's just a matter of working out last-minute details, apparently. "There's no policy or real technical considerations there," he says. "Nintendo's been a fantastic partner to work with on this." Booty says the same about Microsoft's partnership with Sony, though don't expect the PS4 version of Minecraft to work with Xbox or Switch editions anytime soon. Microsoft and Sony are talking about a partnership, but there are no concrete plans for Better Together to hit PS4, Booty explains. "I know it might seem simple from the outside looking in, and I can certainly understand that from a game player's point of view," he says. "From our point of view, on Minecraft, Sony is working with us on this. We are in conversations with them. I think it's important for us to be respectful to some of the concerns and challenges that Sony is thinking about as we figure out how this could possibly work." This is a common refrain on the issue of cross-platform play -- Sony is the lone holdout, reluctant to open the PlayStation ecosystem to other platforms. Meanwhile, Microsoft and Nintendo have shown more interest in this space: Rocket League players on Xbox One and Switch are able to play together, for instance. Technically, Rocket League is also playable among PS4 and Xbox One or Switch, but Sony doesn't want to enable the ability, Psyonix Vice President Jeremy Dunham told Engadget at E3. He said cross-platform play was a matter of life or death for his game, and the team frequently broached the subject with representatives at Sony. "There have been slight variations on how it's been presented to us, but essentially it's the same answer," Dunham said. "It's 'not right now' or it's 'something we'll consider.' That's paraphrasing, but there hasn't been any movement." And then there's the curious case of Fortnite. Just this past weekend, PS4 and Xbox One players found themselves in games together, and the entire escapade was caught live on Twitch. A spokesperson for Fortnite said the cross-platform capabilities were due to "a configuration issue" that was quickly fixed, but the brief moment of console compatibility only served to remind players of everything that could be. Everything, like playing Minecraft across consoles. "I certainly don't want to speak for them, but it absolutely remains our goal to want to bring PlayStation into the mix with this," Booty says. "I feel confident we'll figure out a way to make that work. I also just want to really state that Sony is being a good partner with us. We're in conversations with them, we're working on this together." So far, just one game, Rocket League, is playable across Xbox One and Switch, and Minecraft is on its way to becoming the second. The cross-console ecosystem is in its infancy. Booty sees Microsoft as a leader in this space, just as the company has been in years (and console generations) past. "It was a game like Halo that really proved you could bring a first-person shooter over to console," Booty says. "It was Halo that first really led the way and helped people figure out a lot of how multiplayer was going to work over the internet and not just over LAN. This is a similar situation. I think the Minecraft team is proud to be one of the first games figuring out exactly how this is going to work and kind of leading the way." 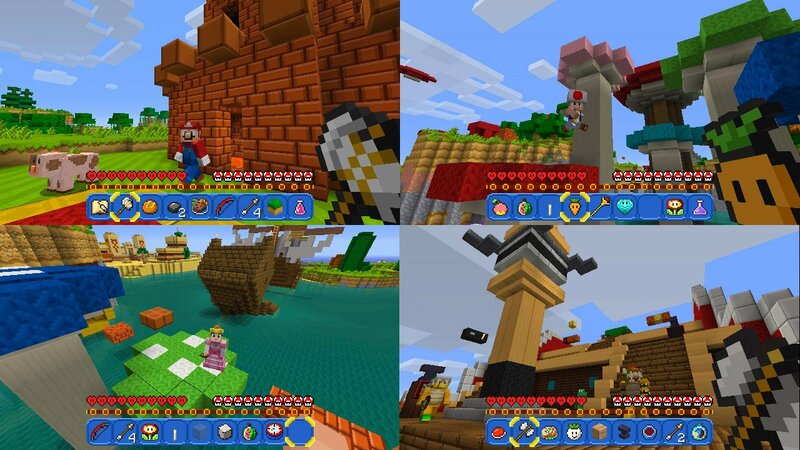 If Minecraft, one of the most popular games in the history of humanity, can work across consoles, any game should be able to -- eventually, at least. "That sets the stage for what could possibly then become a broader approach," Booty says. 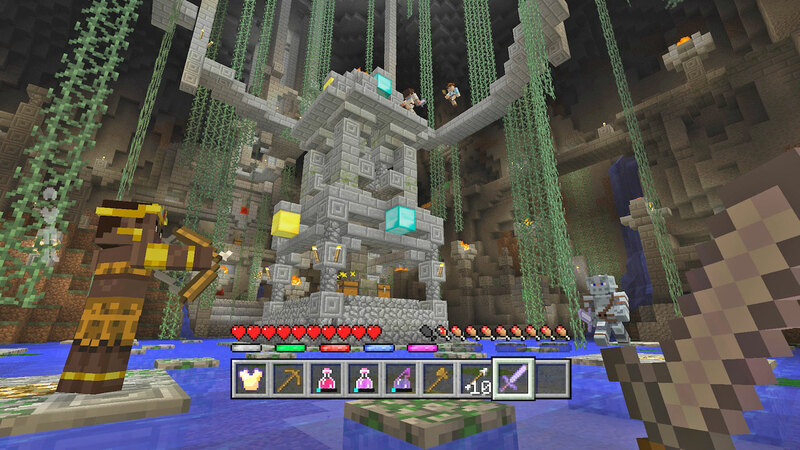 "Right now we're very focused on figuring this out with Minecraft. You gotta start somewhere, right?"